Be it in a bathroom, kitchen or elsewhere in a project, exposed tile and stone edges are vulnerable to damage. Edge profiles (or trims) finesse an installation, protect your chosen covering and prevent injuries to building occupants. 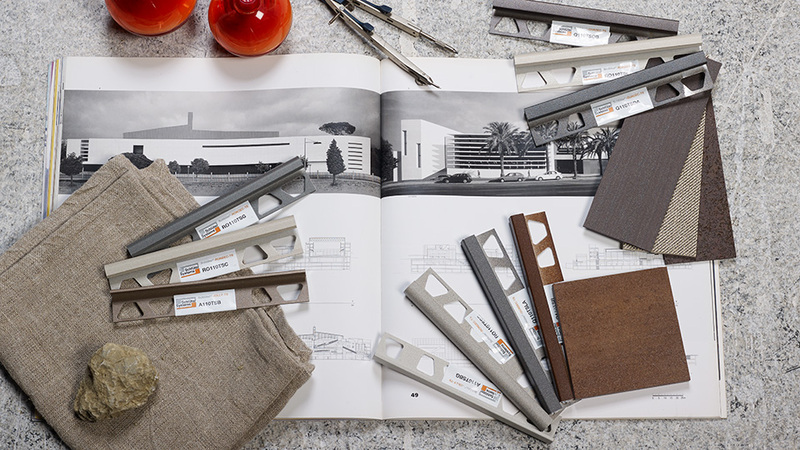 Schlüter-Systems provides an extensive variety of wall and floor profiles to tackle common finishing dilemmas. From delicate, near-invisible finishing trims for walls, through to heavy-duty industrial profiles for floors, you will easily find something to suit your application. We produce trims in base materials of brass, stainless steel, aluminium and PVC, according to the demands they will likely face in situ. 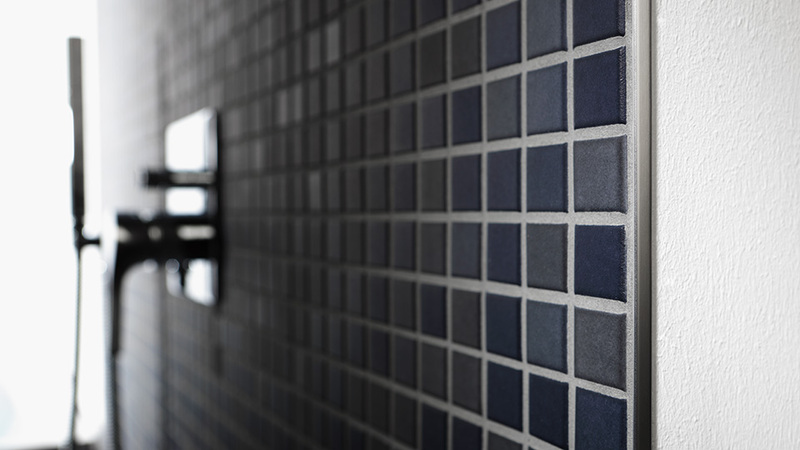 For select wall profiles, you will also find an array of textured finishes to match popular tile trends, as well as options to co-ordinate with the latest fashions in fixtures and fittings. For a complete table of finishes, you can download our Quick Reference Profile Guide. Schlüter-Systems' flooring trims protect the edges of tile and stone from common causes of damage. Manage transitions between same and different height coverings, and improve flow through a building. Schlüter-Systems provides stainless steel and aluminium corner trims as well as profiles to add decorative strips of detail into wall installations of tile and stone. Metal skirtings are a durable alternative to conventional skirting options. Schlüter-Systems offers flat and cable duct versions in aluminium. For stairs, safety and practicality are paramount. Schluter-Systems carries aluminium and stainless steel stair nosing profiles in a variety of sleek, slip-resistant designs.